Many Eagle County residents live lives of adventure. They parasail and summit Mount Everest, battle mountain winds, roiling rapids and frostbite. But explorers of old contended with much more than a delayed flight or a Sherpa with an attitude. In some instances, they charted a course for a town that had disappeared or had to escape pesky cannibals. Debut author Naomi J. Williams chronicles the ill-fated expedition of the Astrolabe and Boussole, which departed France in 1785 for the South Pacific. The fictionalized account of this map-making and territory-charting journey is an interesting read, in no small part because it is told through many characters’ perspectives. The multi-voice approach enables Williams to contrast temperaments and stereotypes during the reign of Louis XVI, as well as share more details about the great variety of individuals undertaking a scientific expedition. Understanding new lands through the thoughts and interactions of illustrators and navy officers is an opportunity to see things with less jaded vision, to take in how truly foreign places can be. Or once were. The structure of “Landfalls” also works to the reader’s advantage. Each chapter opens a new event, so keeping up with the overall journey isn’t necessary, and the book doesn’t need to be finished in one or two sittings. It’s a perfect choice for the end of summer, when beautiful days beckon readers outside before the snow flies. 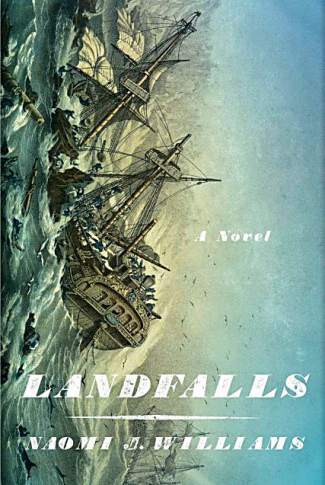 “Landfalls” also is a reminder of how enormous the world once was. In an age of globalization, in which a new Concorde is projected to fly from London to New York City in a couple of hours, it’s easy to forget that ocean journeys took months. And that it was a life-threatening endeavor. Travel in the Age of Enlightenment did not include a McDonald’s in Moscow or a Starbucks in Samoa. Williams has a gift with description, and her prose shines when she takes readers through uncharted territories. She also pays attention to changing social mores, and addresses the debates and social issues in a less politically correct era. What really makes “Landfalls” special is that in this risk-averse publishing environment, original voices are as scarce as the endangered blue grouse in the High Country. The book is void of vampires or dystopian themes, and there’s not a shade of gray in sight. It’s an intelligent, painstakingly researched account of adventure. The book is available at The Bookworm of Edwards. Vail Valley local NLB Horton (NLBHorton.com) is the author of two successful works of international suspense, “When Camels Fly” and “The Brothers’ Keepers.” Both are available at The Bookworm of Edwards. Her third book will be released in 2016.